TLJ News: August 1-5, 2013. 8/5. Sen. Patrick Leahy (D-VT) and Sen. Lindsay Graham (R-SC) sent a letter to Secretary of Defense Chuck Hagel seeking accountability for Edward Snowden's disclosure of information regarding federal surveillance programs. The two members of the Senate Judiciary Committee (SJC) wrote that the U.S. "has suffered significant intelligence loses as a result of insider leaks in the case of Army Private Bradley Manning and National Security Agency contractor Edward Snowden." Also, their disclosures "harm our country and the effectiveness of the intelligence community". The two Senator noted that there is an Executive Order that addresses "insider threats", that has been in effect for nearly two years, and that designates responsibility to senior officials. Hence, "what the government does not lack is a policy or the designated senior officials to carry it out". See, Executive Order 13587, titled "Structural Reforms to Improve the Security of Classified Networks and the Responsible Sharing and Safeguarding of Classified Information", dated October 7, 2011. "What does appear to be lacking, however, in the aftermath of both leak cases is accountability." The two concluded by asking questions regarding whether anyone has been held accountable, and what steps are being taken to reduce the likelihood of "similar incidents occurring in the future". 8/5. The Washington Post (WP) published an announcement that states that "The Washington Post Co. agreed Monday to sell its flagship newspaper to Amazon.com founder and chief executive Jeffrey P. Bezos, ending the Graham family’s stewardship ..."
The WP added that "Seattle-based Amazon will have no role in the purchase; Bezos himself will buy the news organization and become its sole owner" and "will take the company private". The WP elaborated that "The rise of the Internet and the epochal change from print to digital technology have created a massive wave of competition for traditional news companies, scattering readers and advertisers across a radically altered news and information landscape and triggering mergers, bankruptcies and consolidation among the owners of print and broadcasting properties." The Washington Post Company (WPC) filed a short Form 8-K with the Securities and Exchange Commission (SEC), and a longer letter agreement, that disclose more details of the transaction. The purchaser will be Nash Holdings LLC, a Delaware limited liability company. The WPC stated in a release that "The purchaser is an entity that belongs to Mr. Bezos in his individual capacity and is not Amazon.com, Inc."
Nash will acquire the Washington Post mark, numerous print publications, including the flagship newspaper, associated web sites, including "the newspaper's internet site washingtonpost.com", and "commercial printing and distribution business and paper handling and storage business". The purchaser will also acquire a "non-exclusive, royalty-free, perpetual, irrevocable license to" certain background intellectual property. However, Slate will not be sold. Certain real estate will not be sold. The purchaser agrees to lease for two years the WPC's downtown Washington DC office building. Neither the WPC's broadcast stations nor Cable One will be sold. Without the transfer of licenses issued by the Federal Communications Commission (FCC), neither the FCC, nor indirectly the Congress, will have a pretext for delaying this transaction, extracting meddlesome conditions, or facilitating the rent seeking goals of non-parties. However, this transaction is subject to the Hart Scott Rodino Antitrust Improvements Act of 1976. Nash Holding is represented by the law firm of Cleary Gottlieb. The WPC is represented by the law firm of Cravath Swain. The WPC stated in its release that "Jeff Bezos' proven technology and business genius, his long-term approach and his personal decency make him a uniquely good new owner for the Post." Bezos stated in this release that "I understand the critical role the Post plays in Washington, DC and our nation, and the Post's values will not change". 8/3. Michael Froman, head of the Office of the U.S. Trade Representative (OUSTR), sent at letter [4 pages in PDF] to Irving Williamson, Chairman of the U.S. International Trade Commission (USITC), that states that it disapproves the June 4, 2013 ruling of the USITC barring importation of certain Apple mobile devices for infringing Samsung patents. On June 4 the USITC issued a Notice of the Commission's Final Determination Finding a Violation of Section 337 [4 pages in PDF] in its proceeding on the complaint of Samsung against Apple regarding the importation of certain electronic devices alleged to infringe Samsung patents. The USITC found Apple in violation of Section 337, which is codified at 19 U.S.C. § 1337, as to some but not all of the patents cited in the complaint. The USITC also issued a limited exclusion order that prohibits Apple from importing certain wireless communication devices, portable music and data processing devices, and tablet computers. That is, the exclusion order covers certain older AT&T models -- iPhone 4, iPhone 3GS, iPad 3G, and iPad2 3G. See, story titled "USITC Enjoins Importation of Certain Older iPhones and iPads" in TLJ Daily E-Mail Alert No. 2,570, June 4, 2013. The USITC proceeding is Inv. No. 337-TA-794. Section 337 makes unlawful the following: "The importation into the United States, the sale for importation, or the sale within the United States after importation by the owner, importer, or consignee, of articles that ... infringe a valid and enforceable United States patent or a valid and enforceable United States copyright ... or ... are made, produced, processed, or mined under, or by means of, a process covered by the claims of a valid and enforceable United States patent". The primary remedy available under Section 337 is an exclusion order. Summary of the USTR/Froman Letter. Froman's letter is four pages long, but avoids any clear legal analysis, or application of law to the facts. It is of only limited precedential value to Apple and Samsung, the USITC, or parties to potential future patent disputes. This letter approaches clarity in one respect. It provides an outcome. It states that "I have decided to disapprove the USITC's determination to issue an exclusion order and cease and desist order in this investigation." However, the letter fails to state whether the proceeding is concluded with this letter, or whether the letter is in the nature of a reversal and remand for further proceedings consistent with the letter. Froman (at right) does discuss the importance of standards developing organizations (SDOs), and commitments to license standards essential patents (SEPs) on fair, reasonable and non-discriminatory (FRAND) terms, and the problems of patent hold ups and reverse hold ups. He also references, and states his approval of, the January 8, 2013 joint policy statement [10 pages in PDF] of the Department of Justice's (DOJ) Antitrust Division and the U.S. Patent and Trademark Office (USPTO) titled "Policy Statement on Remedies for Standards-Essential Patents Subject to Voluntary F/RAND Commitments". That policy statement argues that an exclusion order or injunction for a FRAND encumbered SEP may be inconsistent with the public interest. However, there are exceptions. For example, an exclusion order or injunction may be appropriate where the putative licensee has refused to take a FRAND license. See also, story titled "DOJ and USPTO Issue Statement on Injunctive Relief for Infringement of SEPs Subject to FRAND Commitments" in TLJ Daily E-Mail Alert No. 2,506, January 9, 2013. However, Froman's letter makes no attempt to apply the principles of that policy statement to the facts of the Samsung Apple proceeding. He recites no factual findings of USITC. He makes no new or de novo factual findings of his own. He does not, for example, cite any portion of the June 4 USITC determination for the proposition that Samsung refused to license SEPs on FRAND terms. Nor does he make any such finding himself. While such findings are not in the USITC's determination, or in Froman's letter, some outside commenters have asserted that Samsung refused to license SEPs on FRAND terms, and that this should serve as the basis for refusing Samsung an exclusion order. The USITC's order merely stated that the USITC sought and received comments on "FRAND related topics", that "Apple failed to prove an affirmative defense based on Samsung's FRAND declarations", and that the USITC "has determined that Samsung's FRAND declarations do not preclude" the issuance of an exclusion order and a cease and desist order. The USITC order did not address SEPs or hold ups. The penultimate paragraph of Froman's letter contains vaguely worded instructions to the USITC to make "comprehensive" findings of fact in "any future cases involving SEPs that are subject to voluntary FRAND commitments", including regarding the "presence or absence of a patent hold-up or reverse hold-up". Froman's letter lacks clarity as to whether his letter is intended to conclude the proceeding with finality, or whether it is in the nature of a remand to the USITC for further proceedings. That is, might the USITC issue a second determination, that contains the directed findings of fact, and applies the principles stated in the DOJ/USPTO policy statement to those facts, and once again conclude that exclusion is in the public interest, and issue a second exclusion order? Froman, whose letter reflects a limited grasp of trial and appellate procedure, did not say. Presidential Review of Section 337 Exclusion Orders. Section 1337 provides for judicial review, by the U.S. Court of Appeals, of final orders of the USITC, in accordance with 5 U.S.C. § 706, the Administrative Procedure Act (APA). Such judicial review is an option available to all losing parties in Section 337 proceedings. However, the just issued letter does not constitute the exercise of judicial review authority. In addition, subsection 1337(j)(2) gives the President the authority to overturn a USITC determination. It provides that "If, before the close of the 60-day period beginning on the day after the day on which he receives a copy of such determination, the President, for policy reasons, disapproves such determination and notifies the Commission of his disapproval, then, effective on the date of such notice, such determination and the action taken ... shall have no force or effect." Moreover, while the statute places review authority in the President, the just issued determination is an action taken by Michael Froman. He is the recently confirmed U.S. Trade Representative (USTR), an office situated in the Executive Office of the President (EOP). President Obama did not sign this determination. Nor has he released an executive order, proclamation, or other written instrument that evidences his invocation of authority under Section 1337(j)(2). Froman merely asserted that "This authority has been assigned to" the USTR. Lack of Judicial Independence. The USITC is not an Article III court. However, proceedings under Section 1337 are judicial in nature. The mere existence of Section 1337(j)(2) flies in the face of one of the most fundamental principles of judicial process -- judicial independence -- which requires judicial decision makers to be independent from the parties and outside political pressure or meddling. Moreover, the purpose for which Section 1337(j)(2) has been invoked suggests the presence of procedural unfairness. It will not likely go unnoticed that the OUSTR issued this letter for the benefit of a U.S. company, and to the detriment of a foreign company. This action may therefore harm the efforts of U.S. companies, trade negotiators and diplomats when they seek fair and impartial treatment for U.S. companies in foreign courts and before foreign government agencies. On the other hand, Apple is allied with foreign manufacturers, while Samsung is allied with Google and other U.S. companies. Reaction. Ed Black, head of the Computer and Communications Industry Association (CCIA), stated in a release that "The Administration’s unprecedented decision to veto an ITC ``Section 337´´ import ban against Apple for infringing Samsung's intellectual property is a disruptive and potentially dangerous development that calls into question the fairness of our trading regime and could undermine the way US companies are treated globally." He added that "If Samsung is not afforded equal treatment by the USTR, this seemingly arbitrary and non-appealable decision on behalf of a giant American competitor threatens to undermine our relationships with our trading partners and international respect for national patent systems." He also stated that the CCIA is "troubled by the explosion of patent cases and exclusion orders at the ITC", but that "Adjudication by USTR fiat, however, is unacceptable and invites other countries to do the same." In contrast, Tim Molino of the Business Software Alliance (BSA) stated in a release that "Ambassador Froman made the right decision in this case ... Market exclusion orders might be appropriate remedies in some cases, but generally not when it comes to FRAND-encumbered standard-essential patents." 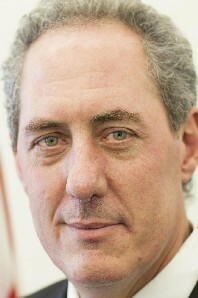 Michael Froman. Mike Froman started work at the USTR six weeks ago, after the USITC had issued its determinations. Before that he worked in EOP as Deputy National Security Advisor for International Economic Affairs. Before joining the Obama administration, he worked at Citgroup. He also worked in the Department of the Treasury during the Clinton administration. And, he was a law school classmate of President Obama. However, nothing in his record reflects either judicial experience, or expertise in patent law. See also, stories titled "President Obama Picks Mike Froman to be USTR" in TLJ Daily E-Mail Alert No. 2,557, May 6, 2013. and "USTR Nominee Froman Mired in Ugland House Controversy" in TLJ Daily E-Mail Alert No. 2,570, June 4, 2013. 8/1. President Obama nominated Michael O'Rielly to be a member of the Federal Communications Commission (FCC). This nomination is for the Republican position previously held by Robert McDowell. It is for the remainder of a term expiring on June 30, 2014. See, White House news office release and release. He is currently a Policy Advisor in the Office of the Senate Republican Whip, Sen. John Cornyn (R-TX). He has worked for various Senate Republican entities since 2003 headed by Sen. Cornyn and former Senators Jon Kyl (R-AZ) and John Sununu (R-NH). Before that, he worked on telecommunications matters for the House Commerce Committee (HCC), and for former Rep. Tom Bliley (R-VA), beginning in 1994. The three FCC Commissioners offered their congratulations. FCC Chairman Mignon Clyburn stated in a release that "I congratulate Mike O'Rielly on his nomination as an FCC Commissioner, and look forward to his Senate confirmation." Commissioner Jessica Rosenworcel wrote in her release that "He is knowledgeable on communications policy matters and will have a lot to contribute to the work of this agency." Commissioner Ajit Pai stated in a release that "His expertise, experience, and fresh perspective will be a tremendous asset to the Commission as we confront the many challenging issues on our agenda. I look forward to working with him and wish him all the best during the confirmation process." Numerous trade groups praised the nomination. However, several Washington DC based interest groups that are active on issues before the FCC, such as the Public Knowledge (PK), New America Foundation (NAF), and Free Press (FP), did not promptly issue public statements. Michael Powell, head of the National Cable and Telecommunications Association (NCTA), stated in a release that O'Reilly "brings not only a wealth of political experience, but also a deep appreciation for policies that will promote continued innovation and private investment in communications markets". Matthew Polka, head of the American Cable Association (ACA), stated in a release that O'Rielly "is an excellent choice". Gordon Smith, head of the National Association of Broadcasters (NAB), praised O'Reilly in a release, and added that "we look forward to working with him on matters of critical importance to free and local broadcasting". Steve Largent, head of the CTIA, stated in a release that O'Rielly has "impressive depth of experience in telecommunications". Walter McCormick, head of the US Telecom, praised O'Reilly's "distinguished background of experience in communications law and policy" in a release. Shirley Bloomfield, head of the NTCA -- The Rural Broadband Association, stated in a release that "We are hopeful that, having worked for a number of elected officials who represent states with sizeable rural areas, he will appreciate the innovative efforts that small carriers have made to deliver universal broadband access. We look forward to working with Mr. O'Rielly to establish a stable, well-defined regulatory climate that facilitates investment in sustainable IP-enabled networks and promotes affordable access to advanced services for all Americans." Grant Siefert, head of the Telecommunications Industry Association (TIA), praised O'Reilly's "broad, extensive background with communications issues" in a release. Berin Szoka, head of the Tech Freedom, stated in a release that "Mike O'Rielly and Tom Wheeler are both eminently qualified to direct the FCC. The Senate should promptly confirm both nominees so the FCC can focus on providing the spectrum necessary to meet consumers' exploding demand for mobile broadband." 8/1. The Senate confirmed Raymond Chen to be a Judge of the U.S. Court of Appeals (FedCir) by a vote of 97-0. See, Roll Call No. 198. President Obama nominated Chen (at right) on February 7, 2013. See, story titled "Obama Nominates Raymond Chen for Federal Circuit" in TLJ Daily E-Mail Alert No. 2,522, February 8, 2013. The Senate Judiciary Committee (SJC) held a hearing on April 24, 2013. See, SJC web page with hyperlink to its archived webcast. See also, Chen's responses to the SJC's questionnaire, and his responses to written questions from SJC members. The SJC approved his nomination by unanimous voice vote on May 16, 2013. See, story titled "Senate Judiciary Committee Approves Chen for Federal Circuit" in TLJ Daily E-Mail Alert No. 2.562, May 15, 2013. He was a long time employee of the U.S. Patent and Trademark Office (USPTO). He was Deputy General Counsel for Intellectual Property Law and Solicitor for the USPTO from 2008 through 2013. He was the USPTO's Associate Solicitor for ten years before that. He argued In Re Bilski on behalf of the USPTO before the Federal Circuit. He also worked as a staff attorney for the Federal Circuit before joining the USPTO. And, he worked briefly for the intellectual property oriented law firm of Knobbe Martens after law school. 8/1. The Senate confirmed Scott Kieff by voice vote to be a member of the U.S. International Trade Commission (USITC) for a term expiring on June 16, 2020. He will hold one of the Republican seats on the six member USITC. He has long been a law school professor. See, his George Washington University law school web page. The USITC is not an Article III court. However, it exercises judicial authority in Section 337 (19 U.S.C. § 1337) proceedings regarding orders that exclude the importation into the US of articles that infringe intellectual property rights. Hence, it is a de facto federal trial court for many key mobile phone patent disputes. President Obama first nominated Kieff in the 112th Congress on September 11, 2012. See, White House news office release and release. President Obama nominated him in the 113th Congress on February 4, 2013. See, White House news office release. The Senate Finance Committee (SFC) held a hearing on July 18, 2013. The SFC approved his nomination on July 25, 2013. 8/1. The Senate confirmed Danny Sepulveda to be Deputy Assistant Secretary of State for International Communications and Information Policy and U.S. Coordinator for International Communications and Information Policy. See, Congressional Record, August 1, 2013, at Page 6261. President Obama nominated Sepulveda on May 23, 2013. See, White House news office release and release. See also, story titled "Obama Picks Sepulveda for Telecom Post at State Department" in TLJ Daily E-Mail Alert No. 2,568, May 31, 2013. He previously worked for former Sen. Barack Obama (D-IL), Sen. Barbara Boxer (D-CA), and former Sen. John Kerry (D-MA), for whom he handled telecommunications matters before the Senate Commerce Committee (SCC). Soon after President Obama appointed Kerry Secretary of State, Sepulveda went to work for the Department of State. 8/1. President Obama nominated Michelle Friedland to be a Judge of the U.S. Court of Appeals (9thCir). See, White House news office release and release. She works in the San Francisco office of the law firm of Munger Tolles & Olson. Her law firm web page states that she "focuses primarily on antitrust litigation, appellate matters, and constitutional and academic affairs litigation for higher education institutions". She represents drug companies in matters involving the application of antitrust law to their patent related practices. For example, she represented Solvay Pharmaceuticals before the Supreme Court in FTC v. Activis. The Supreme Court held in its June 17, 2013 opinion [43 pages in PDF] that a reverse payment, also known as pay for delay, settlement in a pharmaceutical patent infringement case can violate antitrust law. Activis and Solvay argued that such settlements are lawful. See, stories titled "Supreme Court Holds Patent Reverse Payments Can Violate Antitrust Law", "Reaction to the Actavis Opinion" and "Commentary: Potential Impact of the Actavis Opinion on Other FTC and DOJ Antitrust Actions" in TLJ Daily E-Mail Alert No. 2,580, June 19, 2013. She has also defended Abbott Laboratories against antitrust claims. Federal Election Commission (FEC) records disclose that she contributed to the Obama campaigns and the Democratic National Committee (DNC) during the 2008 and 2012 election cycles. 8/1. President Obama nominated Suzanne Spaulding to be Under Secretary of the Department of Homeland Security (DHS), a position previously held by Rand Beers. See, White House news office release and release. She has been the DHS's Deputy Under Secretary for National Protection Programs since 2011. She has worked in numerous Washington DC government positions for the last 30 years on various defense, intelligence and cyber security issues. In addition, she worked for Bingham Consulting Group from 2006 to 2011. 8/1. President Obama nominated Gil Kerlikowske to be Commissioner of Customs at the Department of Homeland Security (DHS). See, White House news office release and release. 8/1. President Obama nominated Stevan Bunnell to be General Counsel of the Department of Homeland Security (DHS). See, White House news office release and release. He is the managing partner of the Washington DC office of the law firm of O'Melveny & Myers. He works in its White Collar Defense and Corporate Investigations Practice. Before entering private practice, he worked in numerous positions at the Department of Justice (DOJ) and its U.S. Attorneys Office for the District of Columbia. 8/1. President Obama nominated Karen Dynan to be Assistant Secretary of the Treasury for tax policy. See, White House news office release and release. She has worked at the Brookings Institution since 2009. Before that, she was a long time employee of the Federal Reserve Board. 8/1. President Obama nominated John Koskinen to be Commissioner of Internal Revenue (IRS) for a term expiring November 12, 2017. See, White House news office release, and statement by President Obama. 8/1. President Obama nominated Peter Kadzik (at left) to be an Assistant Attorney General in charge of the Department of Justice's (DOJ) Office of Legislative Affairs (OLA). See, White House news office release and release. He joined the OLA in April, and is currently the acting head of the OLA. Before that, he worked for the law firm of Dickstein Shapiro for over 30 years. 8/1. President Obama nominated Pamela Hamamoto to be Representative of the United States of America to the Office of the United Nations and Other International Organizations in Geneva, Switzerland. See, White House news office release and release. She is not a career diplomat. She last worked (for Goldman Sachs) in 1999. She did contribute a total of $4,300 to the Obama campaign and the Democratic National Committee (DNC) in recent years. And, she was a school classmate of President Obama at the Punahou School in Hawaii. 8/1. The Senate confirmed Mary Jo White to be a member of the Securities and Exchange Commission (SEC) for a term expiring on June 5, 2019. 8/1. The Senate confirmed Kara Stein to be a member of the Securities and Exchange Commission (SEC) for a term expiring on June 5, 2017. 8/1. The Senate confirmed Michael Sean Piwowar to be a member of the Securities and Exchange Commission (SEC) for a term expiring on June 5, 2018.